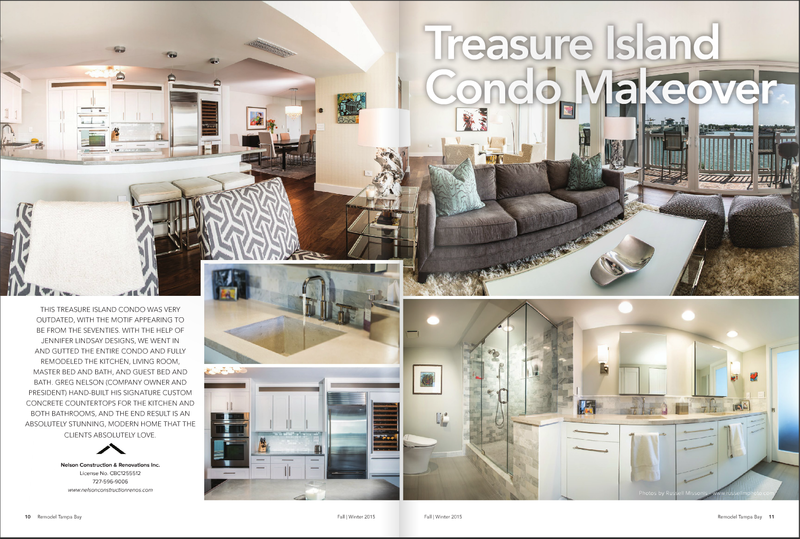 Hey great news, this is a bit of a late post but my real estate photos were recently published in a magazine and were featured not once but two time! Since I am a Clearwater Real Estate Photographer, and I am working to be the best photographer near you, this is a big deal! 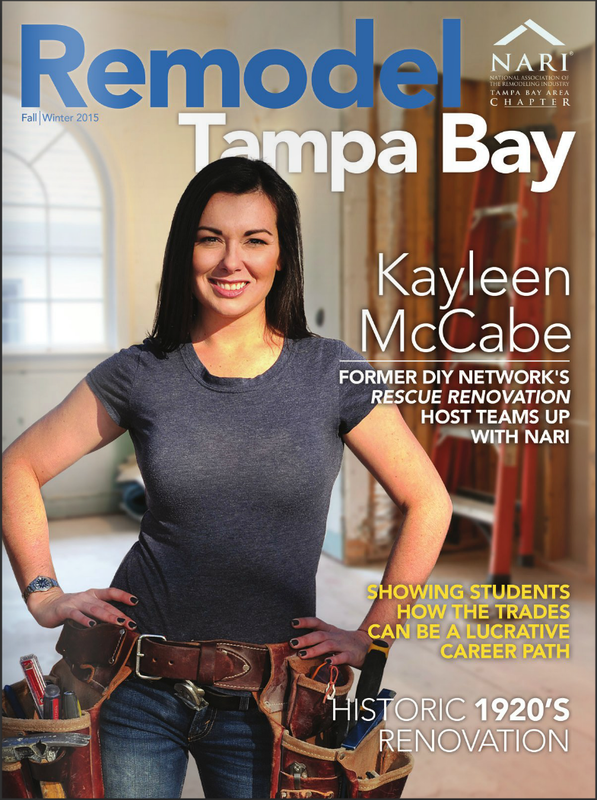 The first article starts on page 10 and is about a Treasure Island Condo renovation which recently won my client the 2016 Contractor of the Year Award from the National Association of the Remodeling Industry (NARI). NARI acknowledges contractors and designers for exceptional work each year, and they were awarded first place in the Residential Remodel category. 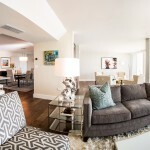 This is a beautiful waterfront condo with clean minimalist design. This is what our client had to say about this accomplishment: “I thought you would like to see the photos of the beautiful remodel for which we won the award. (See attached.) A special thanks to Jennifer Lindsay Design for the beautiful interior decorating, and to Russell Missonis for the gorgeous photographs. And of course our lovely clients, who we loved working for!” – D.N. 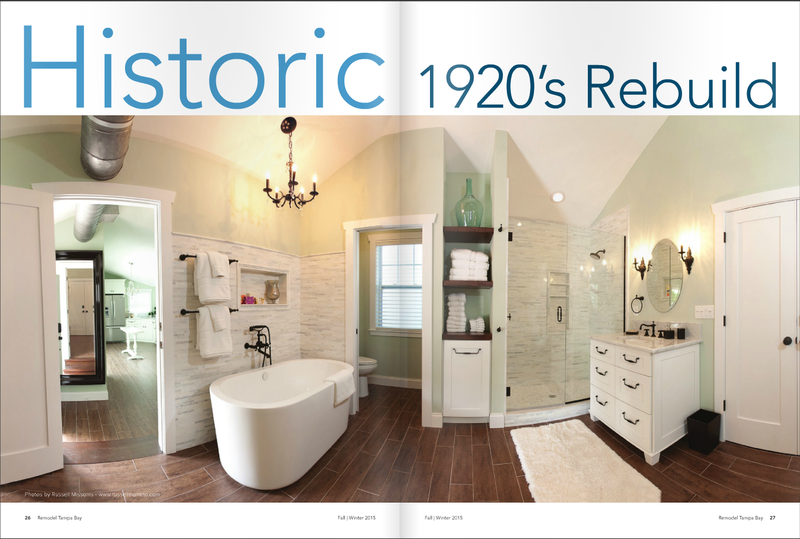 The 2nd article starts on page 26 and is about a Historic 1920’s rebuild. This was actually a mother in law suite/pool house that was also beautifully done. This is the magazines featured article. Both of these projects were a lot of fun to photograph. I’d like to give a big shout out and thanks to Greg and Dominique at http://www.nelsonconstructionrenos.com for their help in making this happen. I am an architectural/real estate photographer based our of Clearwater, Tampa, St Pete. 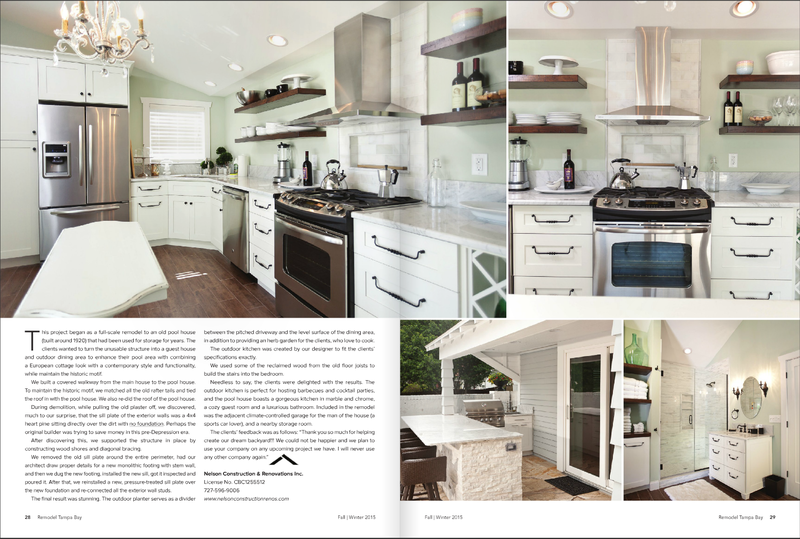 I concentrate on magazine quality images to help my clients win awards and get more clients. I am open to new projects so if you are interested you can reach me here. Pease share this post by clicking one of the buttons on the left.